In conjunction with Occidental College’s series The 75th Anniversary of the Japanese American Incarceration: Never Again, the Oxy Arts Speaker series will present artist Clement Hanami on Tuesday, Feb. 21, from 4:30 to 6 p.m. at Choi Auditorium on campus. Hanami grew up in the predominantly Hispanic suburb of East Los Angeles, just outside downtown. His mother is a hibakusha, or atomic bomb survivor. His father was a World War II evacuee. He received his MFA from UCLA in studio art with a specialization in new genres. His works have been seen in The Geffen Contemporary at the Museum of Contemporary Art, Craft and Folk Art Museum, Los Angeles Municipal Art Gallery, Armory Center for the Arts, John Anson Ford Amphitheatre, California Museum of Photography, Long Beach Museum of Art, AFI National Video Festival, Santa Monica Museum of Art, KCET’s “Independent Eye,” Westwind Magazine, and Show-Mag Gallery. 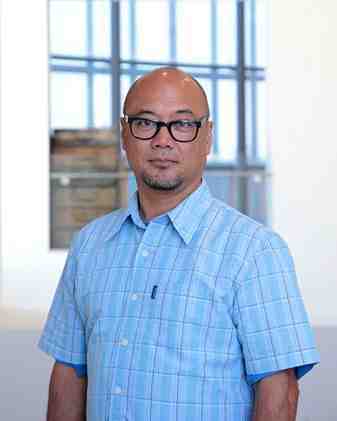 Hanami is currently the art director at the Japanese American National Museum, where he is primarily responsible for the design, installation, fabrication and maintenance of major exhibits, and new genres teacher at the Los Angeles County High School for the Arts. He was also a Cultural Affairs commissioner for Culver City from 2004 to 2010. He received a Getty Visual Arts Fellowship in 2000 and a COLA Artist Award in 2007 given by the Department of Cultural Affairs, City of Los Angeles. For more information on his work, visit www.metro.net/about/art/artists/hanami/. Other artists in the Oxy Arts Speaker Series include Kenyatta Hinkle (March 14), Black Salt Collective (April 4) and Elizabeth Cline (April 25). The Oxy Arts Speaker Series brings five multidisciplinary L.A.-based artists to Occidental to engage the community in conversation about their art, their inspirations, and why they do what they do in Los Angeles today. All lectures take place in Choi Auditorium and are free and open to the public. The college’s address is 1600 Campus Rd., Los Angeles. For a campus map and directions, visit www.oxy.edu.